Hello! Did you have a good 3 day weekend? Mine was relaxing and lazy and good. The pool opened, so I went swimming twice, I also took a day trip to Baltimore, took a few naps and spent quality time on my couch. 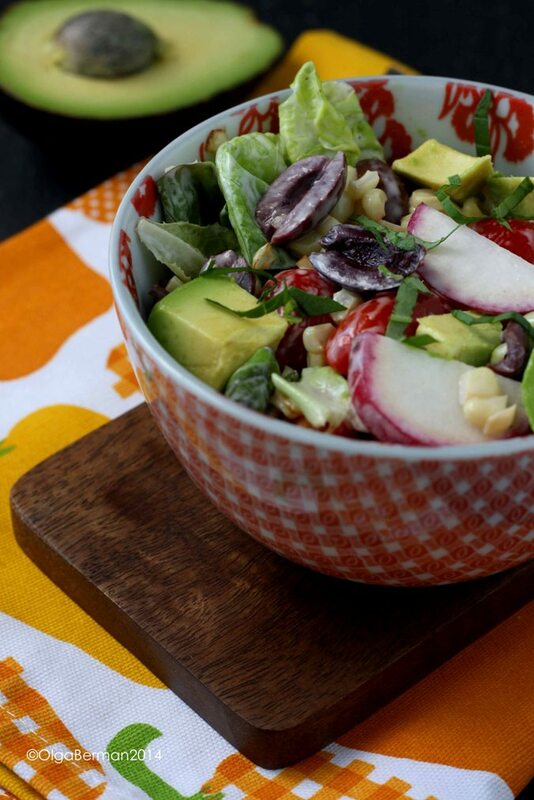 I also made My Favorite Summer Salad: Corn, Avocado, Tomato & Radish Salad with Ranch Dressing. 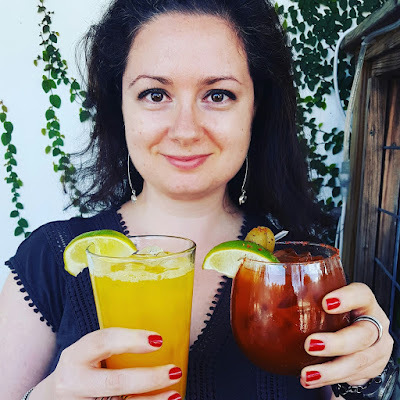 Before I tell you about the salad, although you can figure out the recipe by the title, I'd like to tell you a crazy thing that happened on Twitter this weekend. One woman, who I wasn't even following, decided to UNFOLLOW and BLOCK me because I like tongue. As in cow tongue. And she happens to be vegetarian. Can you believe it? I suppose from now on I will only follow people who like mangoes and tomatoes. Ok, now to the story of this salad. I've mentioned many times that the types of salads I love are the ones with many ingredients in them. Lettuce, a few slices of tomatoes and a slice of cucumber is not a salad in my book. 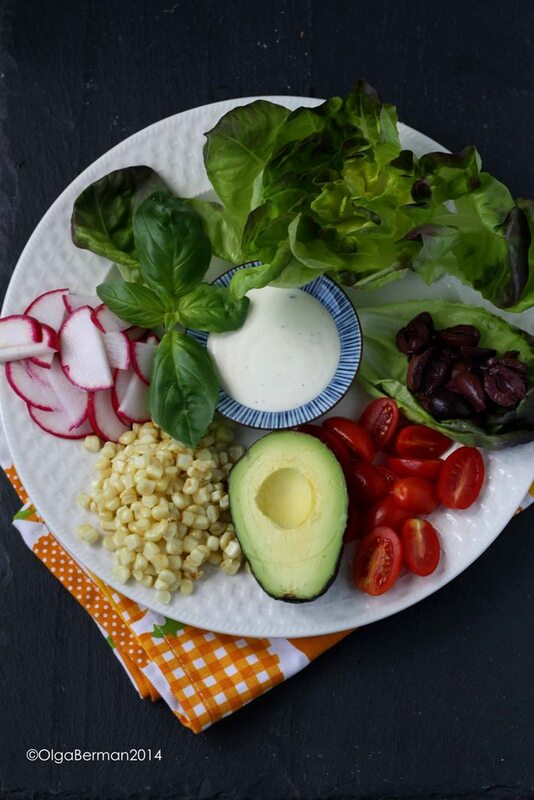 This Corn, Avocado, Tomato & Radish Salad with Ranch Dressing has some of my favorite ingredients and is a great play of colors, textures, and flavors. Corn: use the freshest corn you can find. Cut the kernels off the cob and sauté briefly in olive oil. Tomatoes: use cherry or grape and cut them in half. Olives: I used kalamata ones, but you can use whichever kind you like...just make sure to remove the pits. Radishes: it surprises me how many people have never tried radishes. I love their crispy texture, the beautiful outside color and the slightly peppery taste. Slice your radishes thin in half moon shapes. Lettuce: one of my favorite ones is Boston or Butter lettuce. Basil: chop the basil for the salad right before serving. Ranch dressing: I used store bought, but you can make it at home. 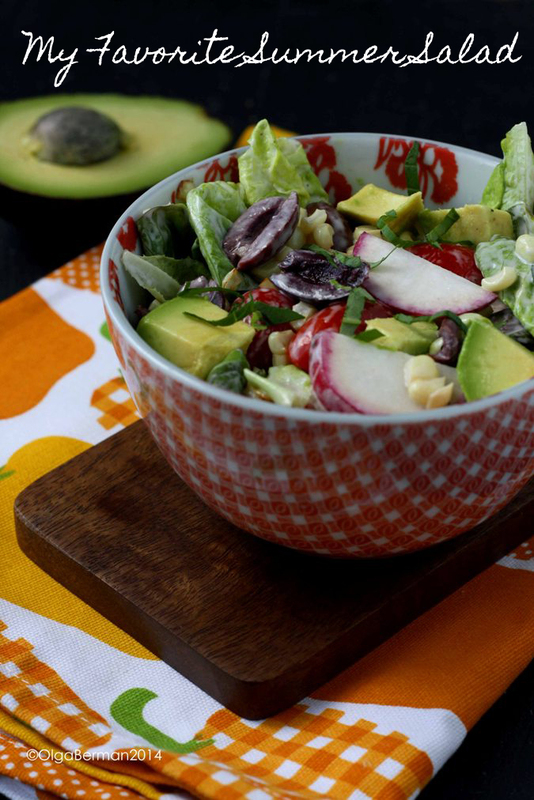 Doesn't this salad just scream SUMMER!? It does for me.